We at MA Essentials strive for perfection. Our handmade Wing Chun Dummies are produced from top notch wood species which we handpick. We represent sustainability, quality and service. We feel that everyone should be able to practice at high level. This is why we offer 4 different kinds of dummies. From the Basic model to the Pro model; from beginner to the professional dojang. Al our products are handcrafted from ecological wood species, handpicked by a master woodworker. We deliver out of stock, so you will have your order at home or at the gym within a week! Because as a Martial Arts practicioner, you need more than just a Wing Chun Dummy, we offer a variety of martial arts products; Long Poles, Wing Chun Knives and innovations such as a divisible Long Pole! For all our products goes this; they have been handcrafted by professionals who have respect, love and a huge passion for the sustainable materials and endproducts. How is a Wing Chun Dummy made? 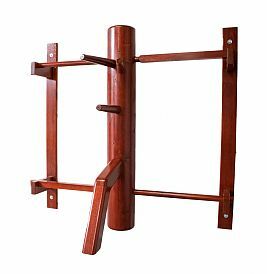 Which type of Wing Chun Dummy is right for me?